Luxurious Shell Cordovan The most coveted type of smooth leather in the world, sourced from the Horween tannery in Chicago. A high fat content protects this famous equine leather from scratches. 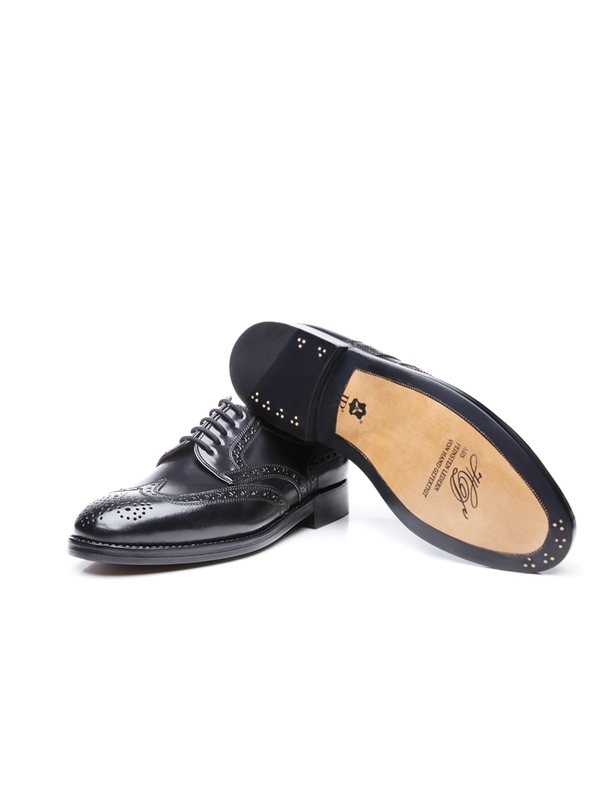 London Last – Comfortable Width G Classic, elegant shape with a comfortable width. 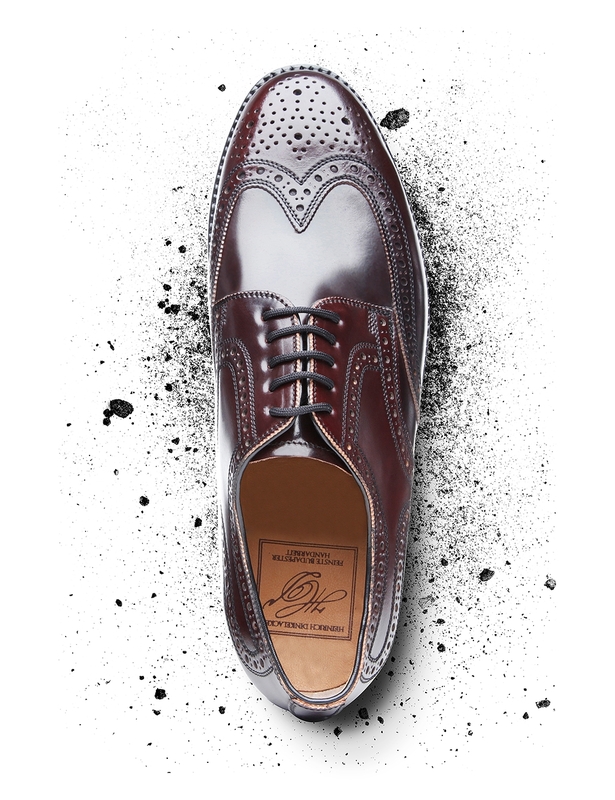 Those who wish to treat their feet to a little more room will adore this round last. Double Sole featuring Set of 3 Nails A flexible leather midsole and a leather outsole made by the renowned Rendenbach tannery guarantee comfort and elegance — supported by a set of three nails. 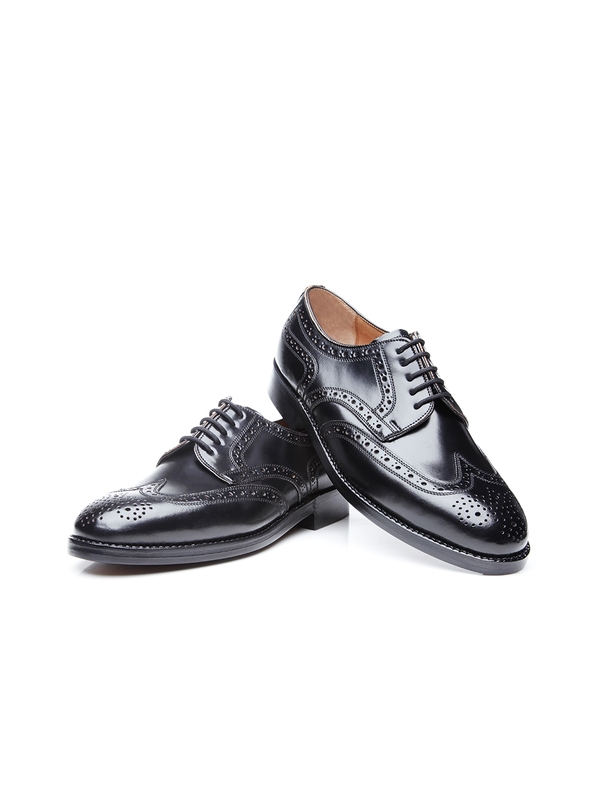 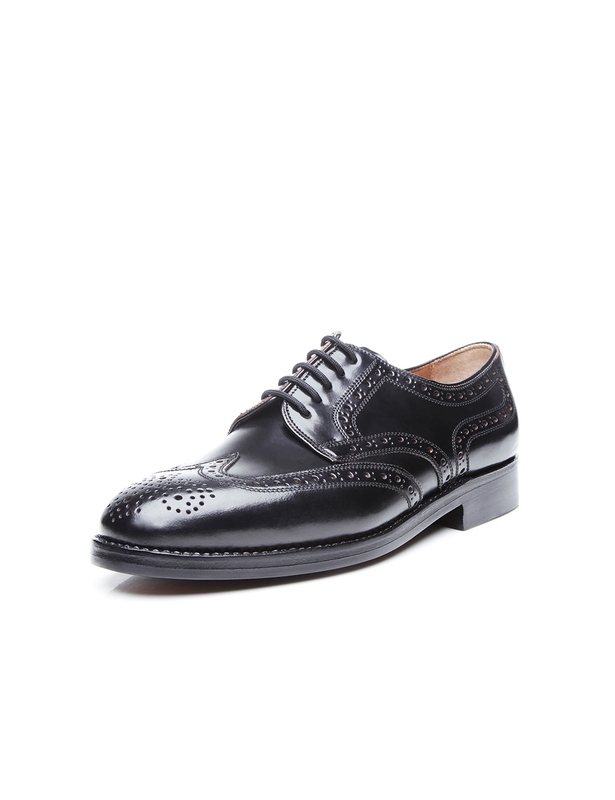 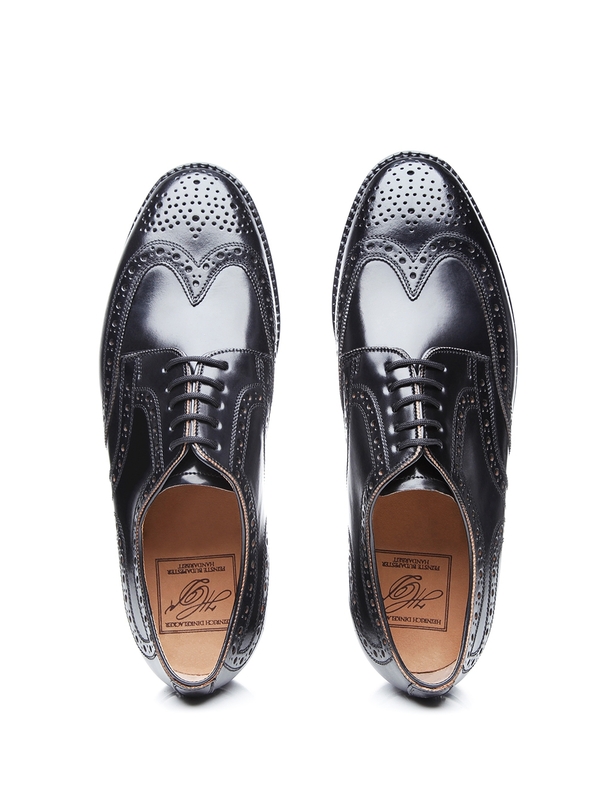 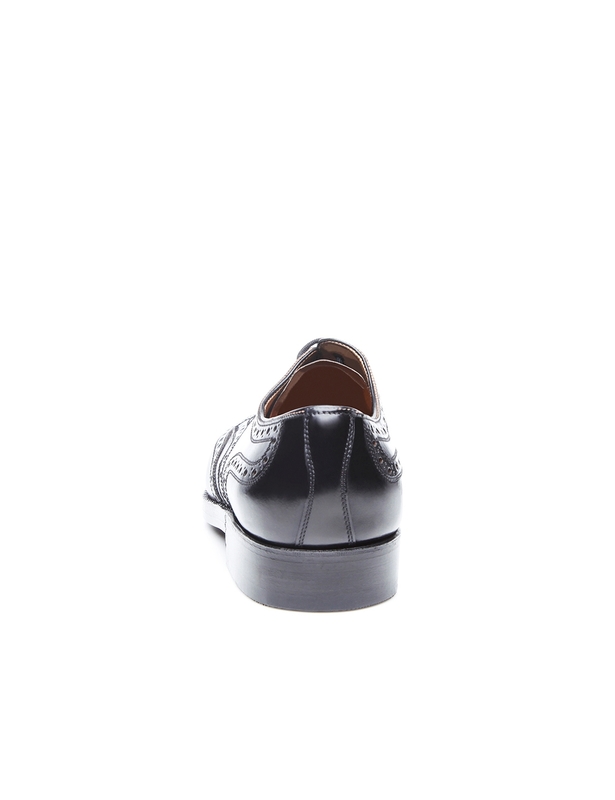 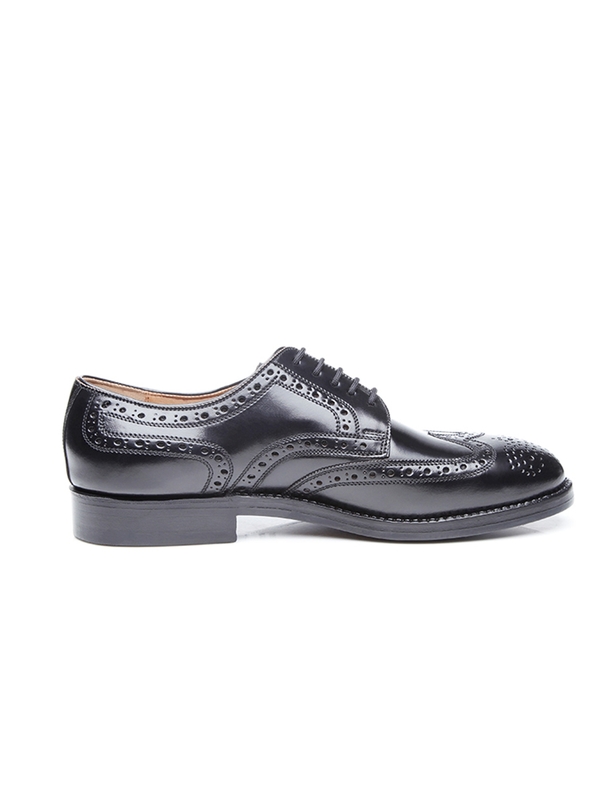 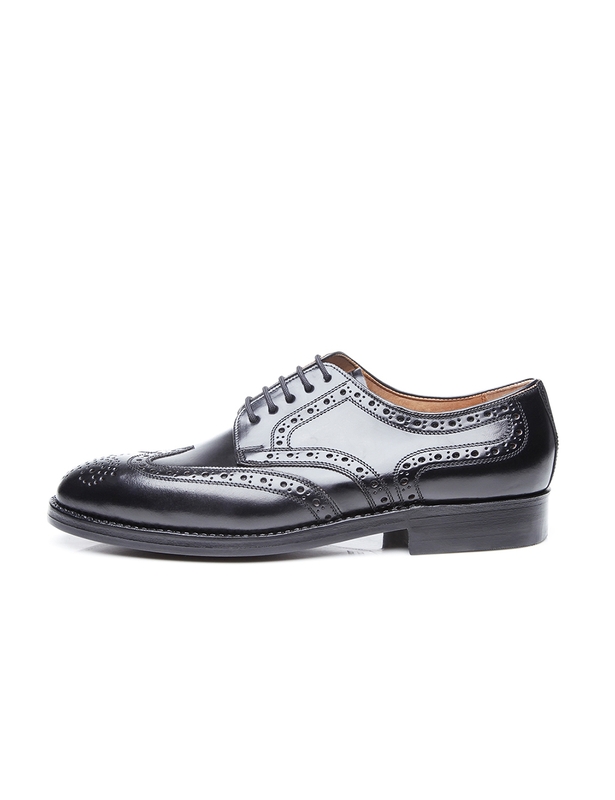 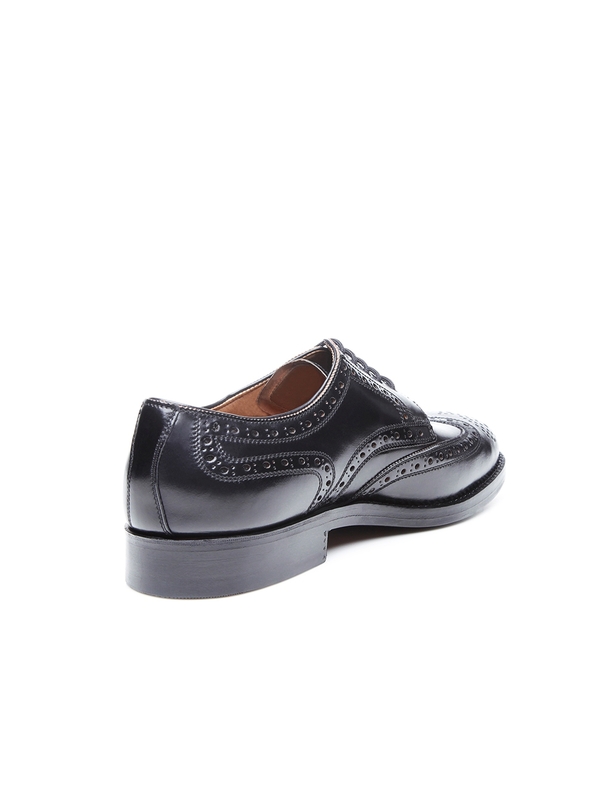 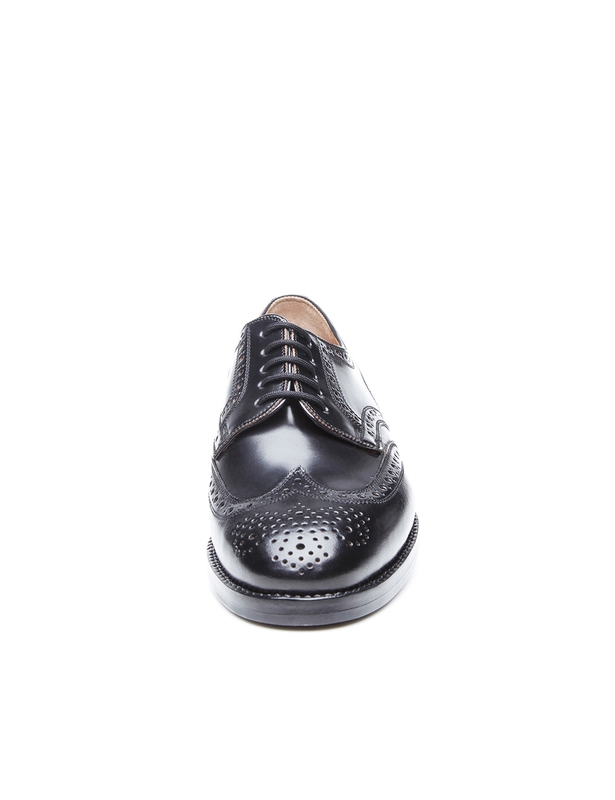 Opulent patterned perforation and gleaming, supple shell cordovan define this sewn-welted, handcrafted full-brogue Derby. On the strength of its special wearing characteristics, shell cordovan numbers among the most coveted types of leather in the world. 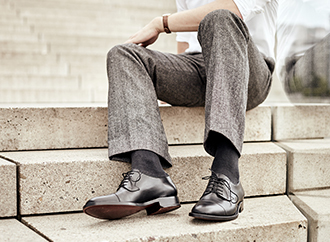 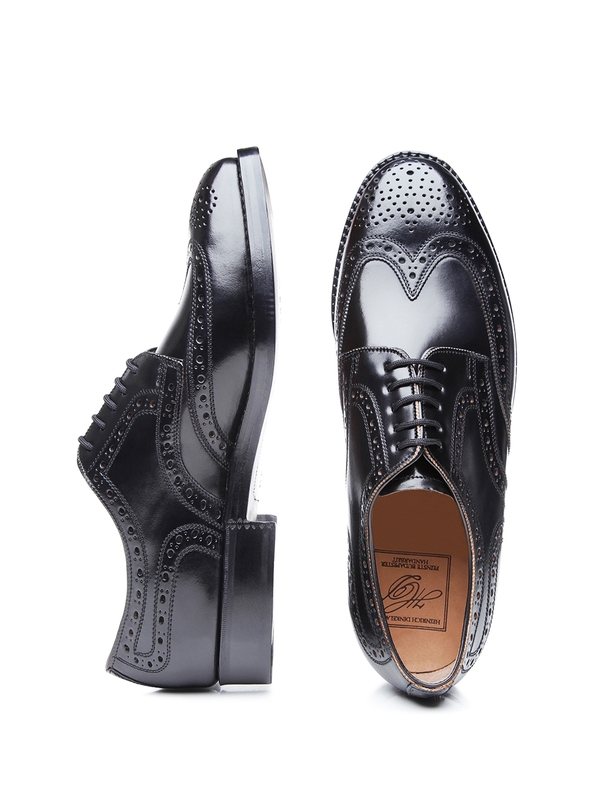 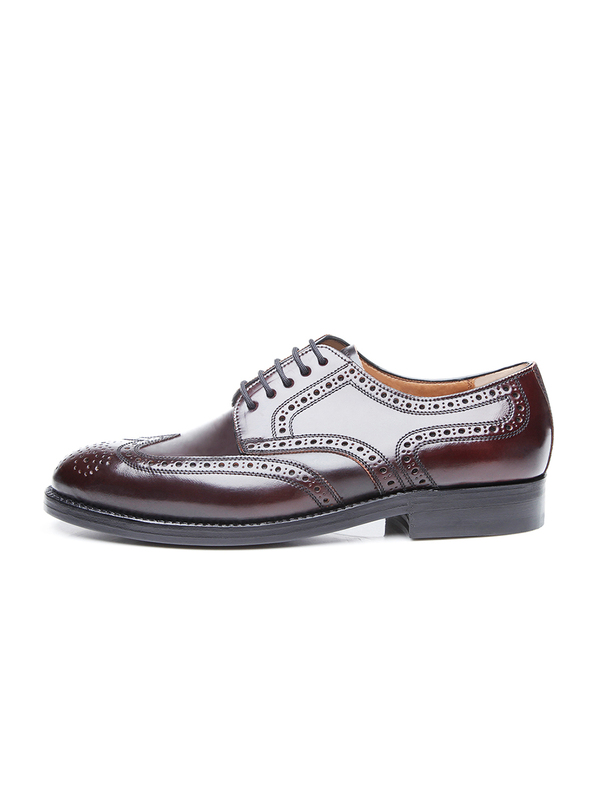 It transforms this popular, classic model into a highly versatile luxury shoe. 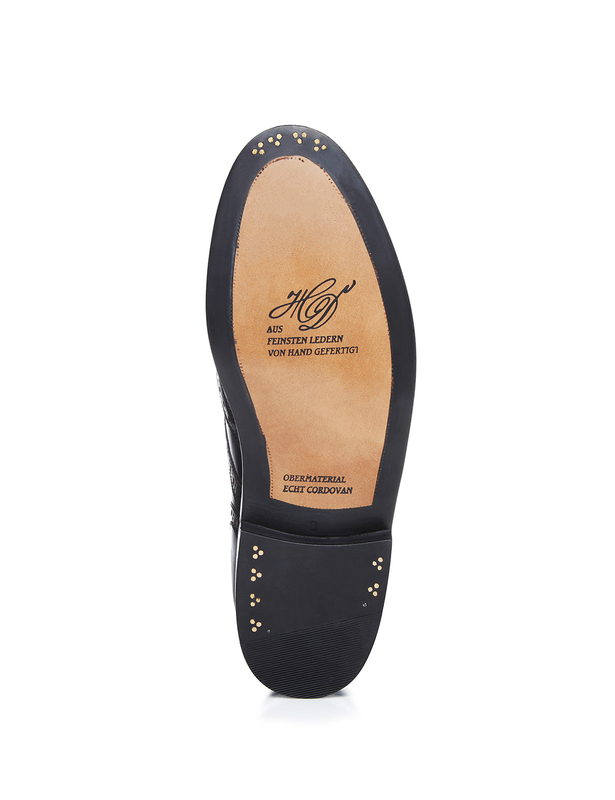 This shoe is also distinguished by its open five-eyelet lacing, the two arched quarters placed on top of its vamp and its sophisticated double leather outsole, held in place with a meticulously arranged set of six nails. 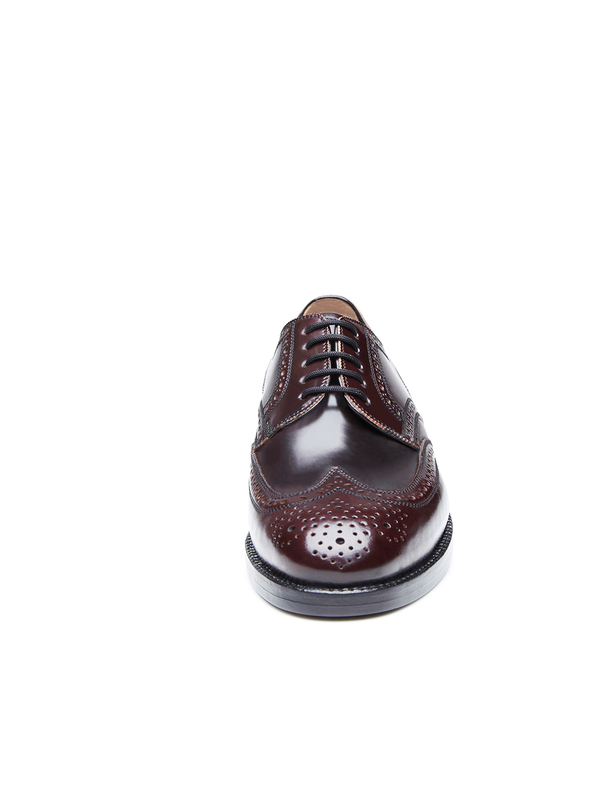 Moreover, this Derby has been assembled using a generous London last so it is pleasantly rounded at the front of the foot, ensuring peak wearing comfort, even for gentlemen with wider-than-average feet. 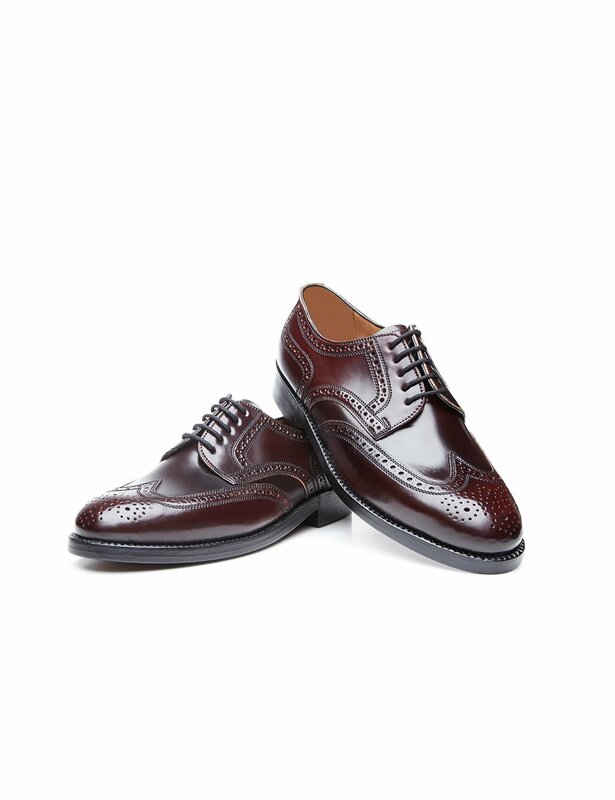 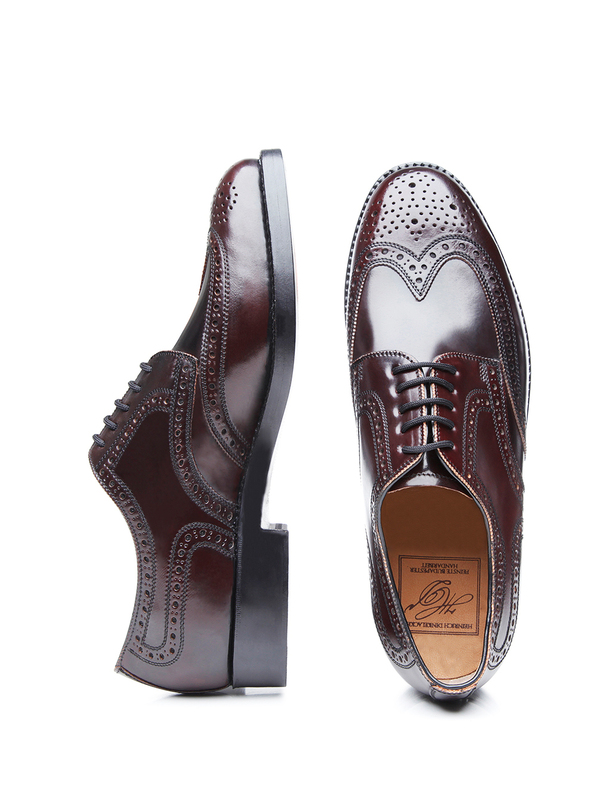 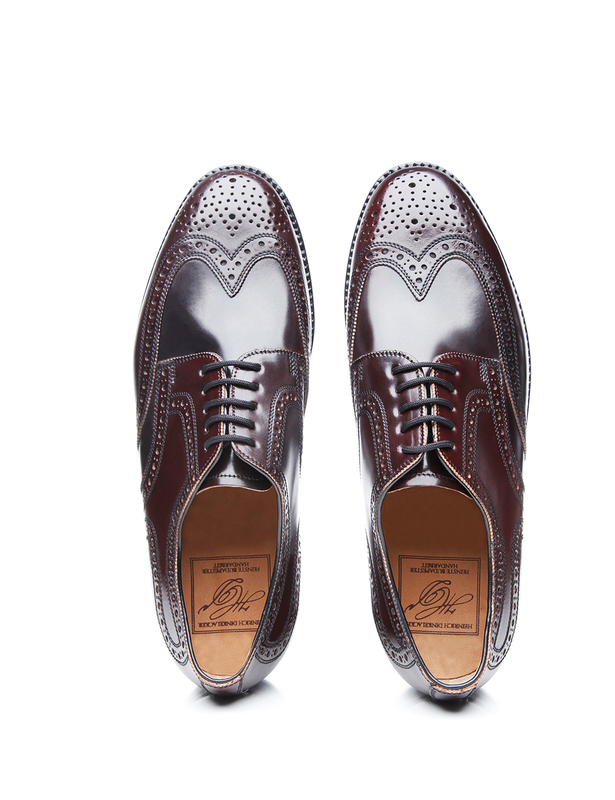 The full-brogue Derby in shell cordovan is available in oxblood and black.